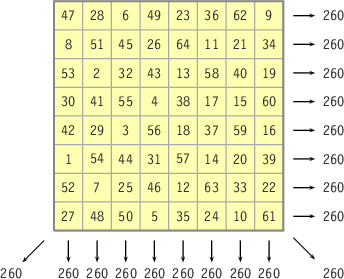 A bimagic square is first of all a normal magic square, in which the rows, columns and diagonals give a constant sum. In this example the sum is always S8=260. But if all integers are raised to the second power, all rows, columns and diagonals have still a constant sum result. 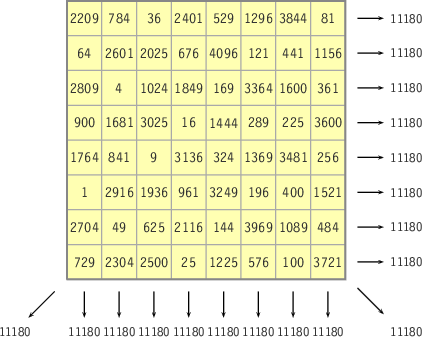 In this example we have S82=11180.